The Apple rumor mill claims that work is underway to develop a 'world-mode' iPhone capable of operating on both CDMA and GSM/UMTS networks. World mode. 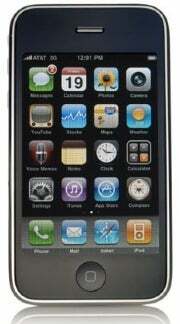 Rumors also persist that Verizon will begin to carry the iPhone in 2010. All of these rumors suggest that the AT&T honeymoon with the iPhone is nearing an end. These are just rumors at this point, but when a rumor is both pervasive and tenacious there is usually a reason. That gives AT&T some reason to be concerned. Without iPhone exclusivity, what does AT&T bring to the table that would entice customers to switch to, or stick with the wireless provider? AT&T has found itself under both customer and regulatory scrutiny for a variety of issues from inadequate service to questionable business practices. Users have complained about network speed, the lack of MMS messaging (which AT&T eventually added), the lack of data tethering for the iPhone (although the device itself is technically capable). AT&T has also drawn the attention of the FTC and the FCC regarding device exclusivity and other exclusionary practices. The move to a 'world-mode' version of the iPhone would be good news for Apple. Analysts have already suggested that Apple could double iPhone sales by dropping the exclusivity with AT&T, and the world-mode device could also enable Apple to save manufacturing costs by allowing it to manufacture just one version that serves all markets. Of course, the recent iPhone launch in China has been a bit tepid so there are no guarantees. The news is also potentially great news for rival wireless provider Verizon. Verizon has been aggressively attacking the iPhone with recent marketing campaigns for the new Motorola Droid, but it has also been very clear that it is still open to welcoming the iPhone to its portfolio of devices. With an iPhone available from Verizon the whole Droid vs. iPhone battle becomes a win-win for Verizon because whichever you choose you could get it from Verizon. AT&T does have devices that aren't iPhones. No, really. I know. I am an AT&T customer and I gave up my iPhone for alternate hardware. AT&T was a tough competitor before the iPhone and it seems fair to assume the company won't just fold its tent and fade away when it loses iPhone exclusivity. There are rumors of AT&T also embracing the Google Android platform in the near future, and AT&T has generally offered the most compelling Windows Mobile devices like the HTC Tilt and the HTC Pure. I don't know if coming late to the Android party, or even adding a device as exciting as the upcoming HTC HD2 (which may or may not even come to AT&T) can replace iPhone exclusivity though. Without the iPhone exclusivity, AT&T's only real strategic advantage right now is rollover minutes. But, rollover minutes lose relevance when all major carriers now offering some form of unlimited minutes to a select calling circle, and some form of unlimited minutes between mobile devices, and the rising popularity of calling plans with unlimited minutes to begin with. Verizon and Sprint are working on implementing 4G networks, and AT&T is filing lawsuits because it doesn't want to look bad for having such sparse 3G coverage. Rumors of iPhone exclusivity ending have circulated for awhile. Hopefully its been enough of a warning that AT&T is working on a Plan B that involves more than adding an Android device and trying to get injunctions against clever marketing campaigns.